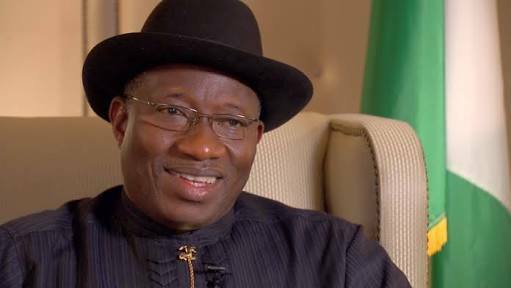 Former President Goodluck Ebele Jonathan has raised the alarm over alleged plans that ‘certain faceless and identified persons have sworn to malign’ his name. The former president disclosed this through his facebook account that truth would surely prevail. Recall that Vice President Yemi Osinbajo had disclosed last week that ex-President Goodluck Jonathan’s administration spent only N153 billion on infrastructure in the three years preceding 2014, N150 billion was shared in just two weeks before 2015 elections. “In one single transaction, a few weeks to the 2015 elections, sums of a $100,289 million were just frittered away by a few. When you consider that in 2014, as the Minister of Finance has said, that oil price was an average of $110 a barrel and only N99 billion was spent on power, works and housing and when we talk about the economy, we talk as if these are normal by every standard”, Osinbajo said. Similarly, newsmen gathered from the presidency on Sunday night that there was evidence that the CBN got specific instruction to ensure billions were moved from the bank directly to the residence of the former president Goodluck Jonathan. “In one particular instance over N70 billion was released in parts from the national treasury between January 8 and February 25, 2015. “The over $289M which was also referenced last week by the Vice President is said to be included in this particular series of illegal transactions. “Besides, that in another illegal disbursement, the minutes of the Central Bank board meeting of 25th August 2014 indicated the board’s okay of another N60B requested by the former President and released later by the Central Bank”, a source told newsmen. In view of these allegations, the former President, on Sunday night, wrote on his facebook account; “It has been brought to my attention that while I am away promoting democracy in Sierra Leone, a campaign will be unleashed against me to falsely impugn my name using both faceless and identified persons. “What I will say however, is that no matter how far and fast falsehood has traveled, it must eventually be overtaken by truth. - GEJ”.